During the chilly autumn and winter seasons, I get inspired to get creative with pies. 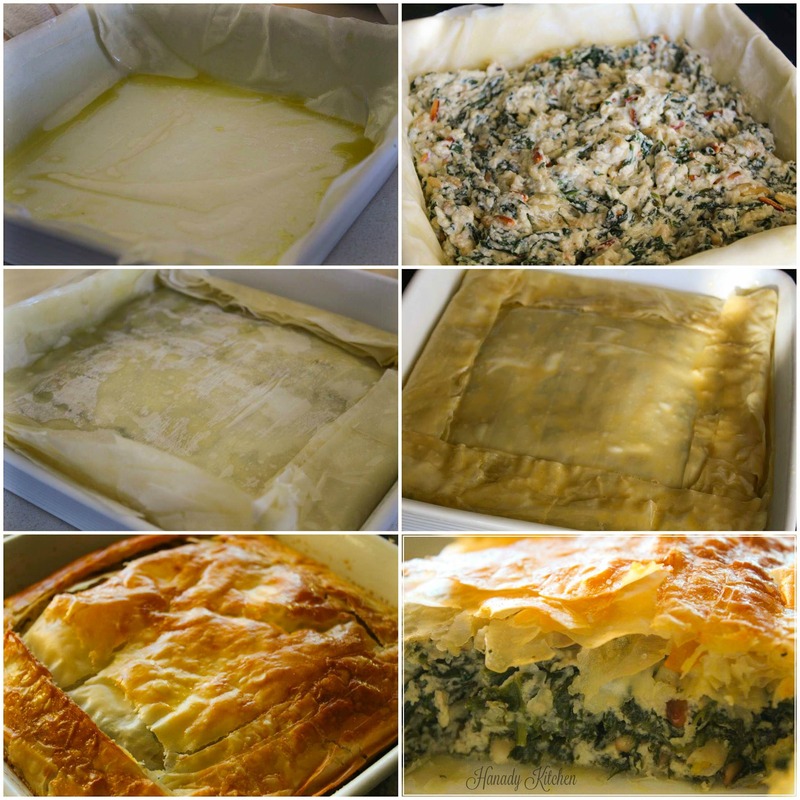 As this will be my first winter in the Eastern Mediterranean, I decided to make a savory pie that reflects the region’s flavors in all their glory. 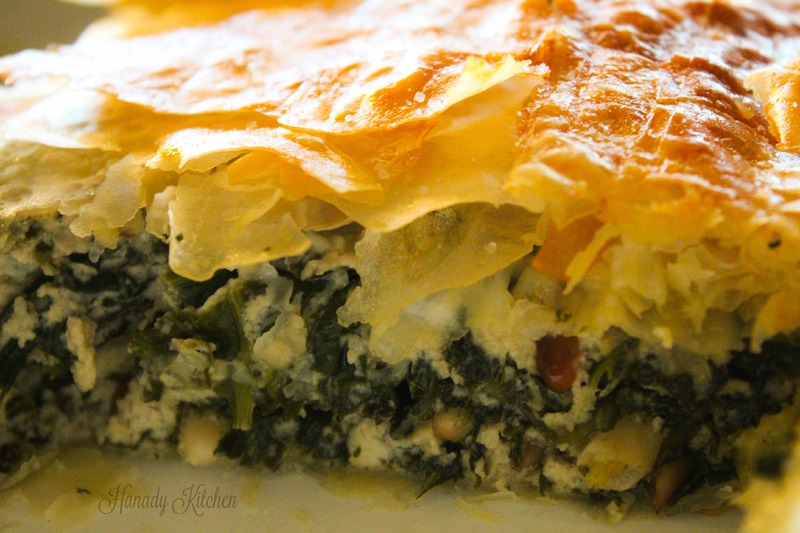 This Mediterranean spinach and ricotta pie is accompanied by various Middle Eastern ingredients. Sumac, pine nuts, and nutmeg provide for rich and deep flavors in a light and soft dish. 2. In a deep pot, over a medium-high heat, sauté the garlic and onion in 1 tablespoon of olive oil and 1 tablespoon of butter. Leave to cook alone for about 5-7 minutes or until lightly golden. 3. If using fresh and cleaned spinach, stir the spinach into the hot pot and leave to cook down over medium heat and covered for about 5-8 minutes or until wilted. If using frozen spinach, see notes. 4. After the spinach is prepared, stir in the nutmeg and sumac. Leave to cool for a couple of minutes while you prepare the filo dough. 5. Lightly brush a 8-by-8in (20-by-20 centimeter) square baking pan with olive oil. 6. Carefully place your first layer of filo dough over the center of the dish and lightly mold the sides in accordance with the dish using your hands, as pictured. (Be sure to cover the rest of the dough with a kitchen towel so that it does not dry out.) Do not worry about the extra dough overlaying the sides of the dish, they will be removed at the end. Brush the first layer of dough on the baking pan with olive oil. Repeat the process three more times. You should have 4 layers of dough on the pan before you add the filling. 7. Prepare your filling. In a deep bowl, add your pine nuts, ricotta and parmesan cheeses, heavy cream, and two beaten eggs. Stir the ingredients until well combined. 8. Drain any juices that may have accumulated in the pot of spinach and add the mix to the cheese and cream combination. Season with salt and pepper and stir all of the ingredients together. 9. Spoon your filling into the baking dish and smooth out the mixture with a baking paddle until evenly distributed. 10. Place your last four layers of filo dough over the center of the pan, one at a time. Remember to brush each layer with olive oil. 11. Once you have completed the final layer, lightly push down the dough to mold the pan. With a pair of kitchen scissors, cut the dough along the top of the pan, and remove any excess dough that is hanging over the pan’s sides. Carefully, fold the corners the dough down over the top of the filling. Don’t worry if the fold looks a bit messy, it will puff up after baking. Brush the top of the pie with a final layer of olive oil, and then with a layer of egg wash for color and shine. The egg wash only consists of one egg beaten with a tablespoon of milk. 12. Leave to bake for about 40 minutes or until the pie becomes puffy and golden. 13. Leave to cool for about 5-10 minutes after baking and enjoy! 1. If using frozen spinach, squeeze out all of its water and juices and place in a bowl. There is no need to cook it. Just add the sautéed onion and garlic to the spinach, and combine with the cheese mixture. 2. I recommend leaving the filo dough to thaw overnight in the refrigerator before using.